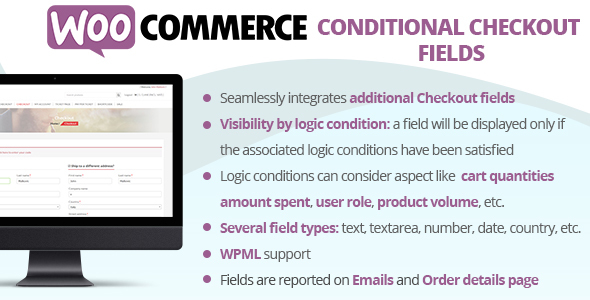 The WooCommerce Conditional Checkout Fields will allow you to easily display addtional fields on the Checkout Billing and Shipping forms accoring to logic rules! All done using a nice visual editor! 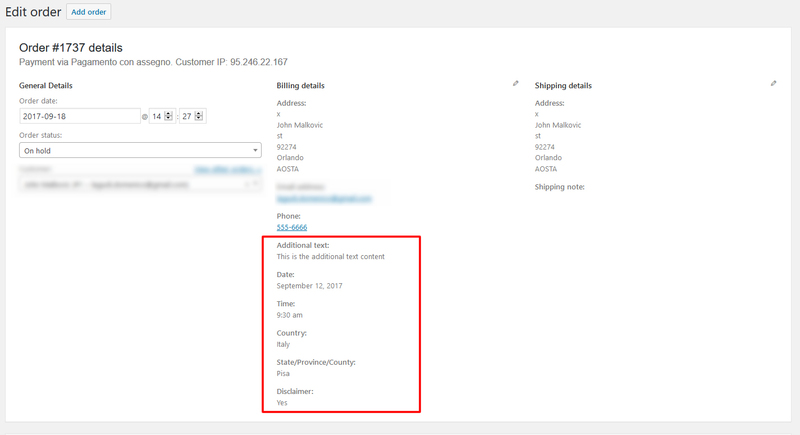 The plugin allows the shop admin to create additional checkout billing and shipping fields to which optionally he can bound some conditional rules. According to these conditional rules the plugin will decide if the additional fields have to be showed in Checkout forms or not. and/or conditions. A conditional rule can consider several product/category/cart/user aspects data like amount spent, height, weight, taxes, user roles…More info at Conditional logic paragraph! For each field you can configure its own options like CSS classes to assign to the input field, placeholder text, show on emails, show on order details page, row size, etc. Not much to explain… the plugin allows you to easily add the “classic” html type like text, number or Email fields! In which each line has a value and label separated by the : character. Note for WPML users: you can use different labels for each language but you must use same values. For example: ” value_1 : Green” for English and “value_1 : Verde” for Italian. 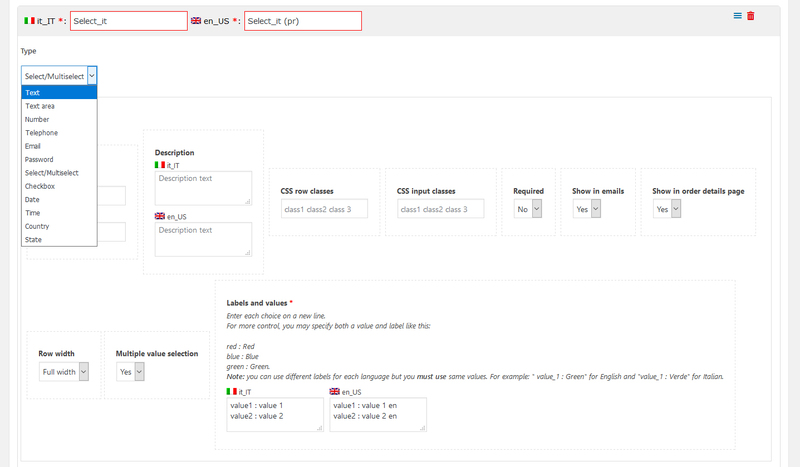 a State of a given country, the last one is a complete Country and State selector that will populate the State selector according the currenct country selected. 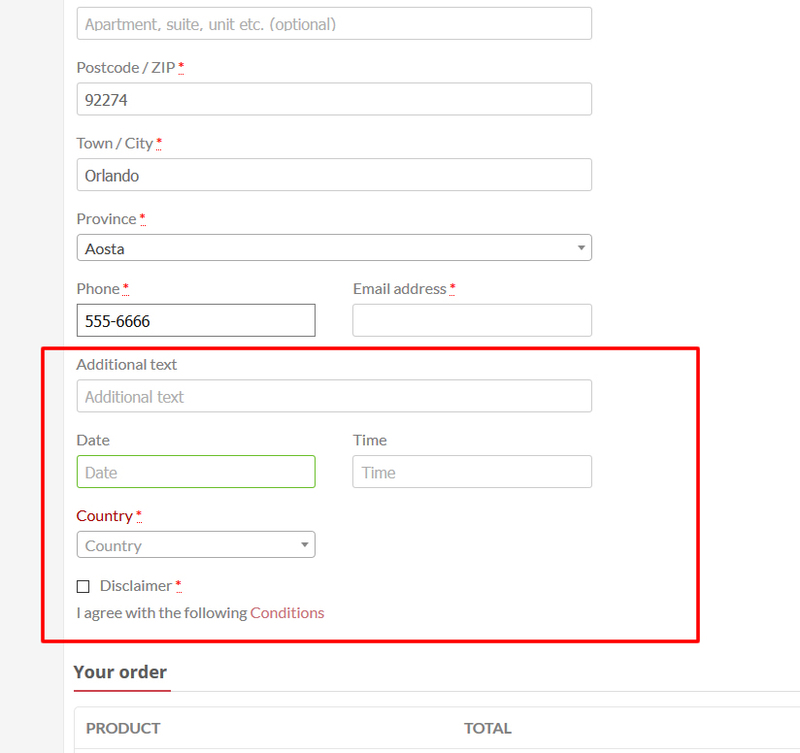 Note: For what concerns the State selector, it will be possible to sleect only the states/provinces for the allowed sell countries configured in the WooCommerce -> Settings -> General menu. to restrinct the date and time ranges selecting min and max date/time values! 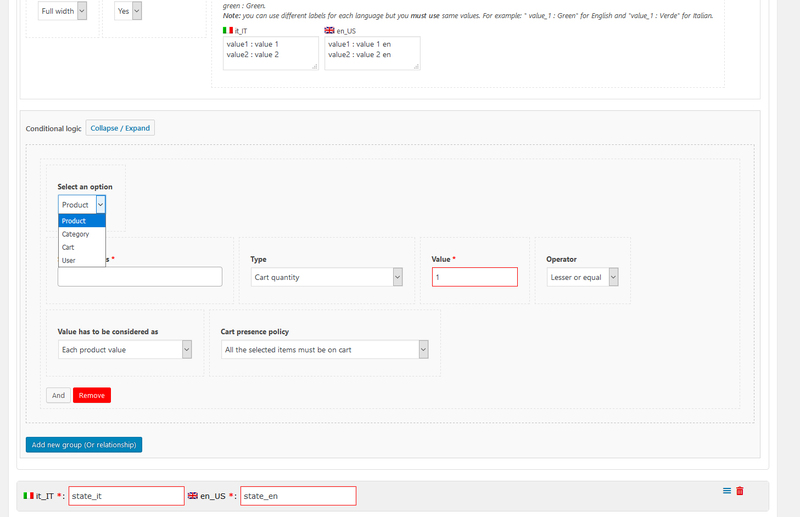 If WPML is detected, the plugin will automatically show multilanguage input fields for labeles, placehonders, etc. In this way you can enter different texts for each language. in order to be satisfied if all the selected product are in cart or to apply just only to the product that actually are in cart. 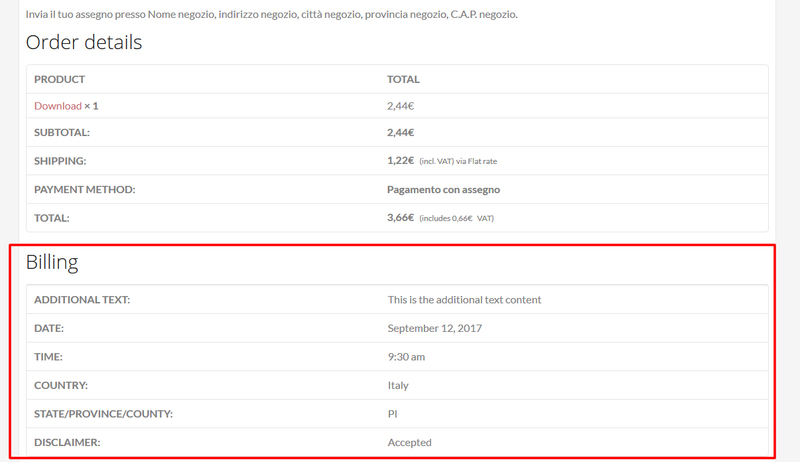 Additional fields will be seamlessly integrated into the Billing/Shipping form if the conditional rules will be satisfied. Optionally fields will be also displayed into the user oder details page and notification emails.